Industry levy board AHDB Beef & Lamb has announced plans to launch a programme of activity emphasising the importance of the halal sector to the meat industry. 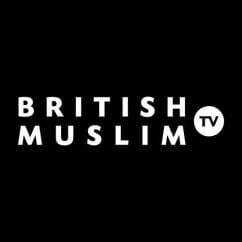 As a part of the activity, a cookery show, called Healthy Kitchen, being broadcast on British Muslim TV, has been commissioned to showcase the quality of home-produced beef and lamb, as well as highlighting new and innovative recipes. The series will begin airing in June and will consist of seven episodes. On-farm production will be discussed during the series, with a focus on how the halal sector adds value throughout the supply chain. “The halal sector has a significant role to play in supporting the sheep meat industry, in particular, and increasingly the beef industry,” said Dr Phil Hadley, AHDB Beef & Lamb’s head of global supply chain development. “For example, the Muslim community consumes around 20% of all sheep meat sold in England. The levy board will also have a stand at the Muslim Lifestyle Show at London Olympia from 30 April to 1 May, where it will host a cookery and butchery demonstration theatre, showing off different cuts for consumers to look for when shopping, as well as promoting recipes for lamb and beef. In an effort to help AHDB Beef & Lamb decide where to focus activity when supporting the sector, consumer research has been commissioned to investigate decision-making by Muslims when purchasing their meat. This wave of activity isn’t the first time the industry board has supported the sector. Last year, the levy board produced a Halal Meat Facts booklet, providing information on the size of the market in the UK and overseas, including what products the Muslim community looks for. Other work AHDB Beef & Lamb has done in creating a platform for the halal sector includes the production of a halal farm-to-fork infomercial, which has been translated into Arabic, French and German to support export work. “We undertook a significant amount of work in 2015, and our forthcoming activities underline our ongoing commitment to supporting the halal sector,” concluded Hadley.